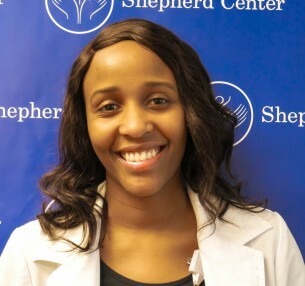 Linet Kairu, FNP-C, is a nurse practitioner in the Shepherd Spine and Pain Institute. She recieved her Masters of Science in Nursing from Mercer University, and is a nurse practitioner certifed by the state of Georgia and American Academy of Nurse Practitioners Certification Board (AANP). She is a member of the American Nurses Association, American Association of Nurse Practitioners and Sigma Theta Tau International.